Here’s yet another surface effect for you that can be used in so many different ways. Today I used mica powders but I also experimented with embossing powders, which have a quite different look (more like ceramics) but are a little trickier to control. 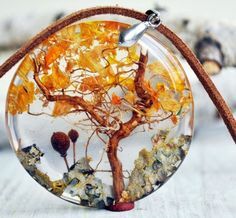 You could also try making your deep impression, baking the pendant and then adding effects such as paints or alcohol inks. Then, if you like, you could sand over the top to reveal the original clay color. Have fun experimenting with this technique! 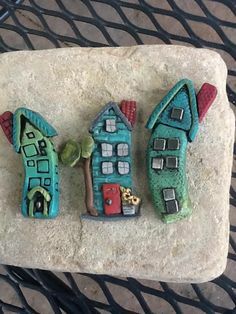 Watch the Prismatic Pendants-Polymer Clay Video Tutorial at YouTube. Those are beautiful! Very interesting how you achieved the effects. 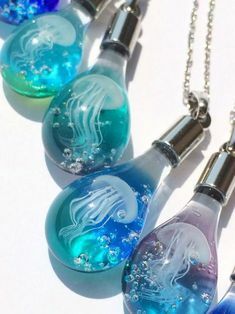 How gorgeous and nice pendants you’ve made Sandy! Glad you like them, Marie!